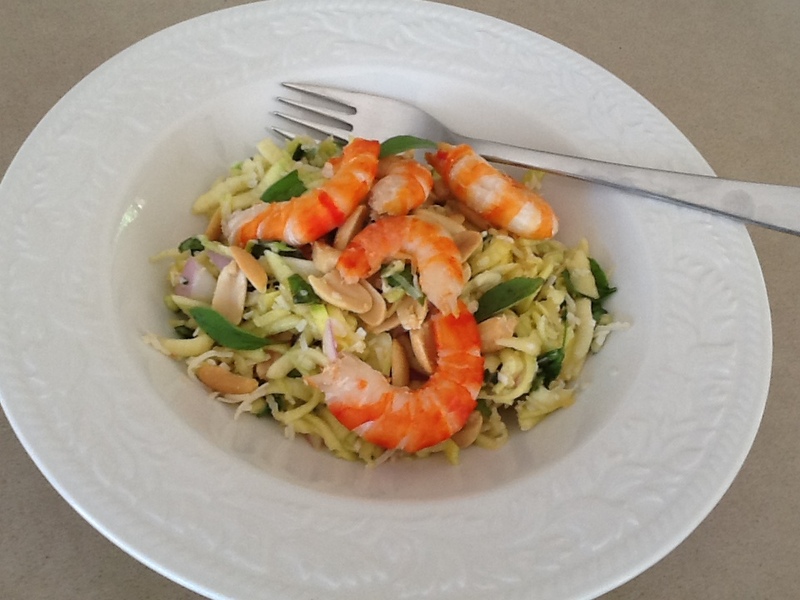 I’m always on the look out for quick week day dinners which can be on the table in less than half an hour. Delicious magazine, which I receive every month as a gift, always supplies a few winners. This recipe for duck breasts from the November issue is easy to halve for two people – as I did – and features the winning combination of duck and mango, both favourites of mine. Turn oven to 180°C. Score skin on duck breasts in a diagonal pattern then season both sides with salt and pepper. Place skin-side down in a non-stick frying pan and cook over low heat for about 6 mins or until most of the fat has gone and skin is crisp. Brush both sides with the hoisin sauce then transfer to the oven (on a baking tin lined with foil to save washing up) and bake skin side up for 6-10 mins or until cooked but still pink in the middle. Rest, loosely covered with foil, for 5 mins. Meanwhile cook noodles according to packet instructions and drain. Mix soy sauce, sesame oil, brown sugar and lime juice together. 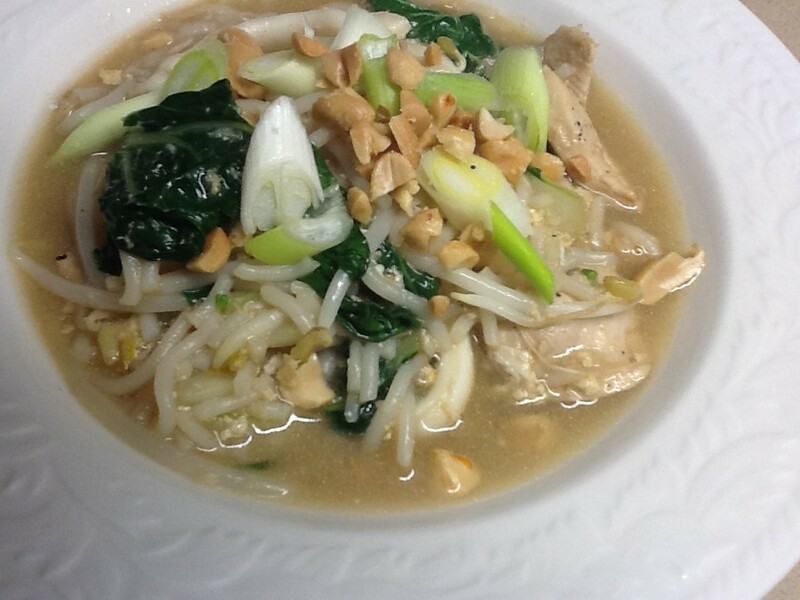 Mix half with the noodles. 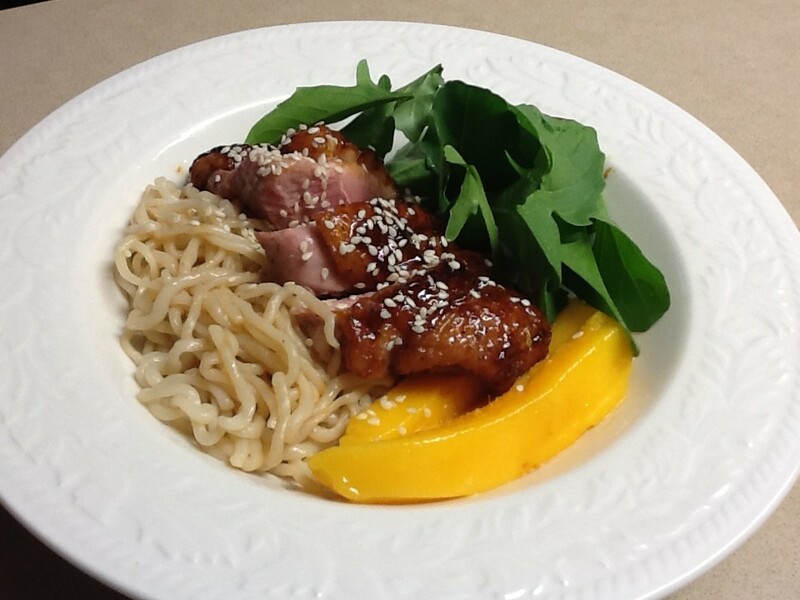 Thinly slice duck breasts and arrange in four bowls with the mango, noodles and watercress or rocket leaves. Drizzle with remaining dressing and sprinkle with the sesame seeds. 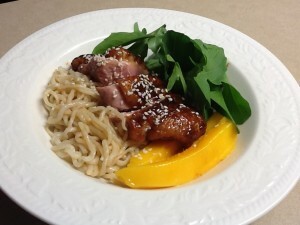 This entry was posted in Recipes and tagged duck, mango, quick by Linda Peek. Bookmark the permalink.